Why See All Is Calm? Christmas Day of 1914 witnessed one of the most remarkable events of WW1. 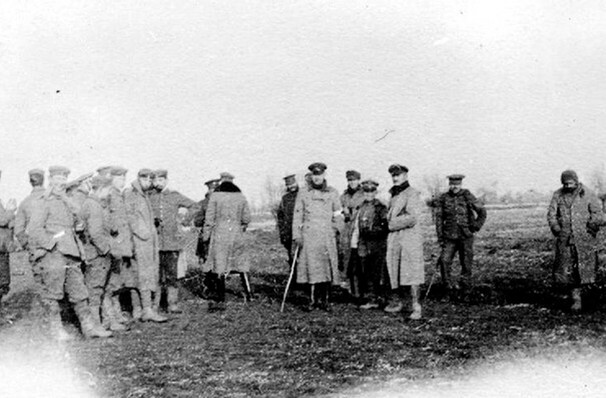 Soldiers from both sides climbed out of their trenches and gathered together in No Man's Land to celebrate, swapping stories and food, and even squared off in some friendly soccer matches. 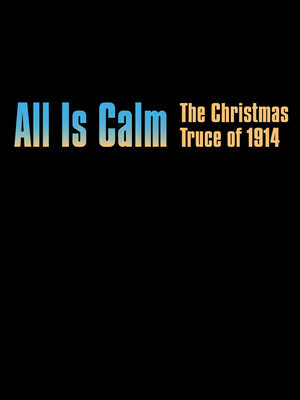 Combining firsthand accounts and musical arrangements of festive favorites by Erick Lichte and Timothy C. Takach, All is Calm is a moving ode to peace, and a welcome change of pace from more bombastic seasonal shows. Written and directed by Peter Rothstein, this national tour is running concurrently to a New York production at the Sheen Center. Seen All Is Calm? Loved it? Hated it? Help your fellow Galveston Theater visitors by leaving the first review! Sound good to you? Share this page on social media and let your friends know about All Is Calm at Grand 1894 Opera House. Please note: The term Grand 1894 Opera House and/or All Is Calm as well as all associated graphics, logos, and/or other trademarks, tradenames or copyrights are the property of the Grand 1894 Opera House and/or All Is Calm and are used herein for factual descriptive purposes only. We are in no way associated with or authorized by the Grand 1894 Opera House and/or All Is Calm and neither that entity nor any of its affiliates have licensed or endorsed us to sell tickets, goods and or services in conjunction with their events.